INDUSTRY.co.id - Medan - Realestate Indonesia (REI) asks the government to guarantee security and legal certainty of investing in the property sector following the influx of political year starting 2018. He is in Medan attending Regional Council (Musda) REI North Sumatera XI and inauguration of the 2017-2020 management with elected chairman Andi Atmoko Panggabean. According Soelaeman Soemawina, assurance of investment security is considered important so that property sector business not slumped. "In recent years the property sector business has declined and only slightly improved by the end of 2017," said Soelaeman. If not guaranteed, said Eman familiar call Soelaeman, the property sector began 2018 will weaken again. Even the weakening of the property sector could continue for longer because there are Election in 2019. He explained, although the presidential election in 2019, the political agenda that has begun to be felt in 2018. 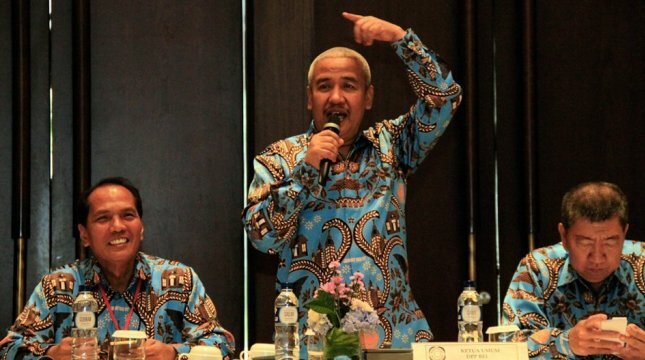 Therefore, said Eman, REI assess the government should oversee the political agenda since 2018. Moreover, he said, until now, developers are still hampered by the rules of the district / city governments are considered burdensome. "Although President Joko Widodo has issued many regulations to facilitate, but not yet realized in the region," he said. He gave an example of PP 64 on the Acquisition of Building Rights (BPHTB) that local governments have not yet implemented.